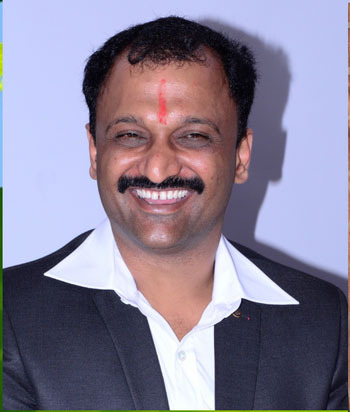 Shree Ayurveda – Dr.Prashant Daundkar Patil is Founder and Director of Shree Ayurveda which was started in May 2005 to offer Ayurvedic treatment, Panchakarma, Garbhasanskar, Yoga and Physiotherapy treatment all under one roof. It is the only one hospital in pune, offering all services together holistically . Dr. prashant daundkar patil is lead practitioner at Shree Ayurveda along with Dr. Priya Daundkar Patil Specialized in Garbhasanskar and Yoga. Shree Ayurveda is located at Chandannagar on Pune nagar Highway in Pune. Shree Ayurveda is spacious, largest, well equipped Ayurveda treatment hospital with an independent Panchakarma treatment units and a physiotherapy unit along with spacious Yoga Hall for Yoga and meditation Classes. Shree Ayurveda's first Ayurved Consultancy to provide 100% transparency in prescription of Ayurved medicines with single unit dose and accurate billing system with online support in the field of Ayurveda. Shree Ayurveda is serving and helping thousands of patients to regain there original healthy living. Shree Ayurveda and Panchakarma has residential facility in a hospital premises for outstation patients and people who can't move outside during treatment. Ayurveda is the most ancient yet most effective form of medical treatment! Our Mission is to help and cure people with Ayurvedic Treatment and Therapies for continuous and sustainable healthy living and lifestyle! To prevent people from undergoing unaffordable treatments and having side effects! 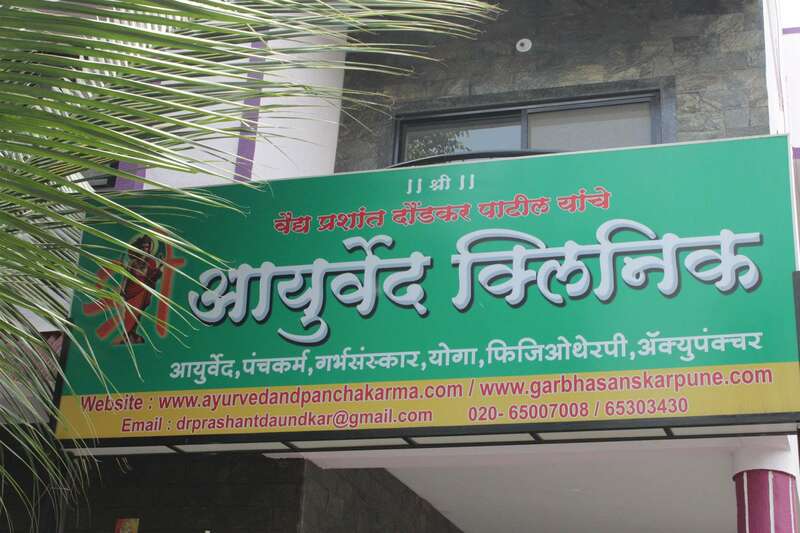 Your search for Ayurvedic Doctors in Pune ends here. Dr. Prashant Daundkar Patil by qualification Ayurvedacharya and also holds Yoga and Ayurveda Padvika is lead doctor (Chikitsaka) at Shree Ayurveda. Practicing since 2005. Dr. Prashant Daundkar is the leading and experienced practioner in Pune. Also he conducting lectures in various institutes for layman as well training camps for Ayurveda Medical Students and Doctors. And published articals in newspaper also. Dr. Prashant Daundkar gives interview in many News Channels including IBN LOKMAT, MI MARATHI, MAHARASHTRA 1. etc He is expertise in Arthritis, Spondylosis, Infertility, heart disease, Kidney Disorder through ancient ayurveda science. 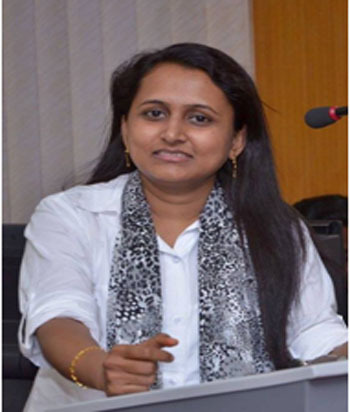 Dr. Priya Daundkar Patil is qualified Ayurvedic practioner. She holds Ayurvedacharya and Yog Ayurved Padvika. Apart from Ayurvedic Treatment, Dr. Priya has special interest in Infertlity,Obesity, Garbhasanskar and Yoga Training. She is practising in field of Ayurved, Garbhasanskar and Yoga since 2007.